Colombia itself is a country full of nature, paradisiacal islands and people that are very friendly, a perfect place to enjoy a diving vacation. Although it is true that topside Colombia is very impressive and has many things to discover, the underwater world is really what takes your breath away. In fact, its coastal regions represent 50% of the country’s total territory and best of all, it has territory both in the Pacific Ocean and in the Caribbean, making it the only country in South America with this characteristic. With the advantage of having both seas, Colombia considers itself the capital of diving, as it has beautiful coral formations, shipwrecks, islands and deep caves. 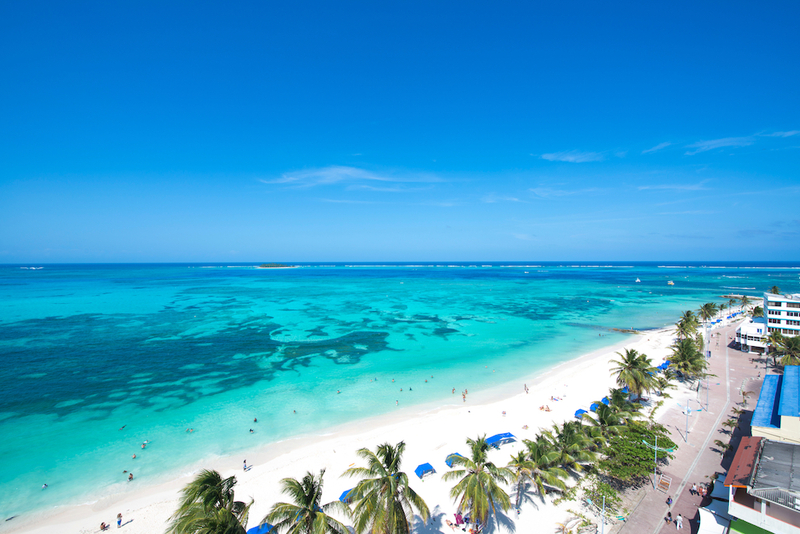 On its Caribbean side, its reefs have been considered among the top in the world, and its beauty attracts diverse marine life that lives in them. On the Pacific side we can find 70% of the organisms that live in the eastern part of this ocean. With many locations to choose from, we invite you to discover some of the must-dive sites in Colombia. Many consider Malpelo as one of the most remote and unexplored locations for divers. It is an uninhabited island in the middle of the Pacific (located 250 miles (330km) east of the Colombian coast) with upwards of 395 different species of fish. Some favorites include hammerhead sharks, whales, a variety of turtles, giant mantas and whale sharks among many other species. 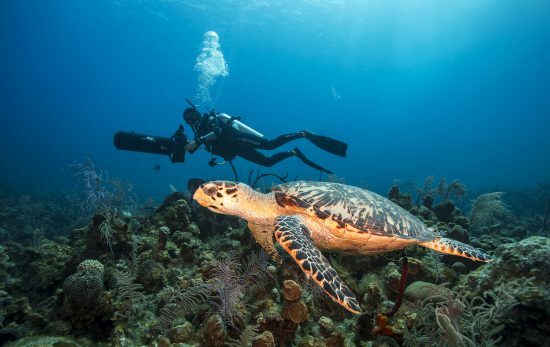 As it is a very remote destination and has strong currents, it makes this trip recommended for advanced divers (learn more about the PADI Advanced Open Water Diver course). According to the divers who have visited, the 35 hour boat trip to the island is worth it and makes it truly a location that is still unexplored and full of life. 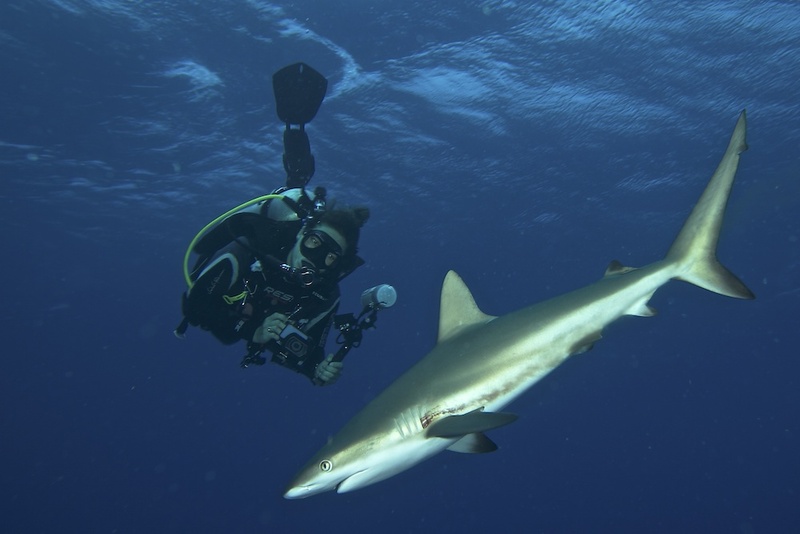 The best times of the year to visit depend on what you want to see: hammerhead sharks and Galapagos sharks are seen all year round, giant whale sharks and manta rays in the summer months, and large schools of silky sharks in April. Divers recommend visiting in June and July to see the greatest diversity. 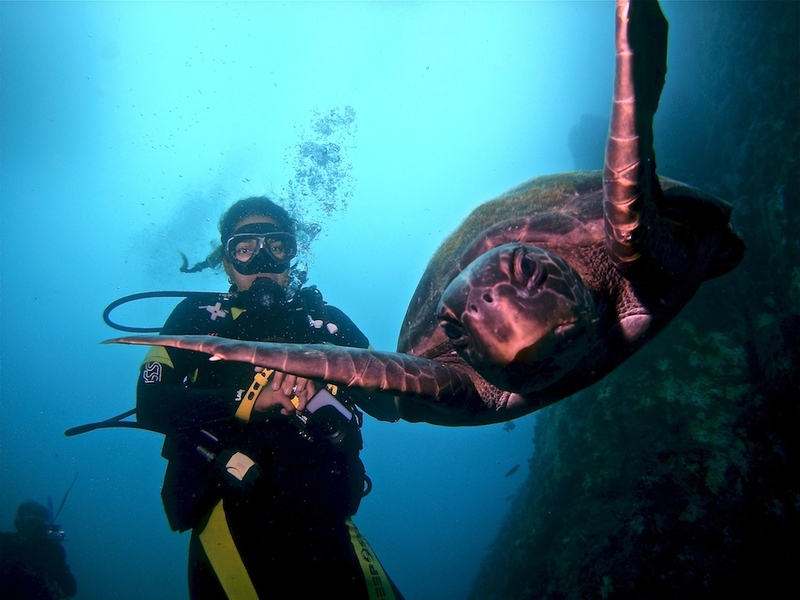 Learn more about diving in Malpelo Island. San Andrés y Providencia are islands located in the southwestern Caribbean and are home to the third largest barrier reef in the world. Most of the waters have been declared as protected areas by UNESCO and have been named the Seaflower Biosphere Reserve. Its calm, transparent and warm waters all year round make them ideal for divers who are learning and for experienced divers to enjoy the more than 40 dive sites offered by this island. Learn more about diving in San Andrés y Providencia. This park is a protected area in the northern region of the Caribbean part of Colombia. 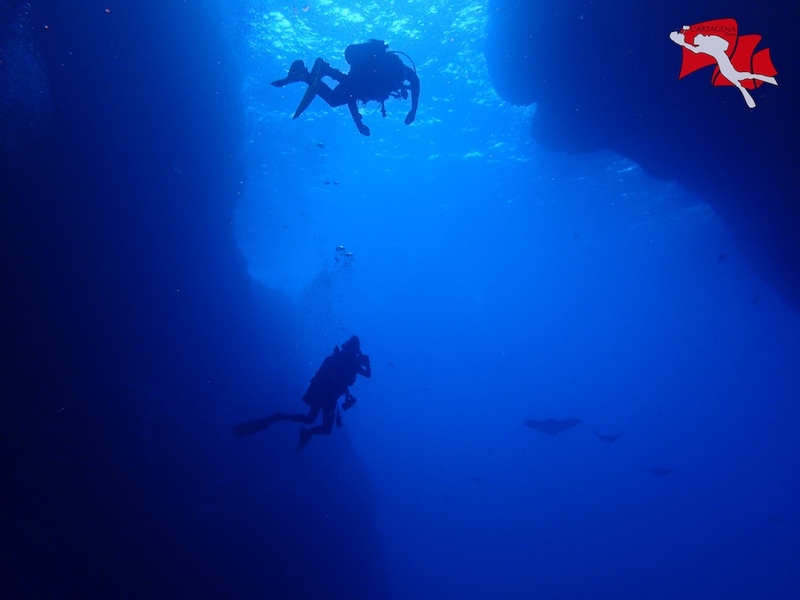 It is ideal for all levels of divers, since most of the dive sites are near the coasts in areas very protected from wind and waves, with maximum depths of 12m (40ft). For more experienced divers, sites range from 18m (60ft) to 40m (140ft) with stronger currents, making for awesome drift dives. 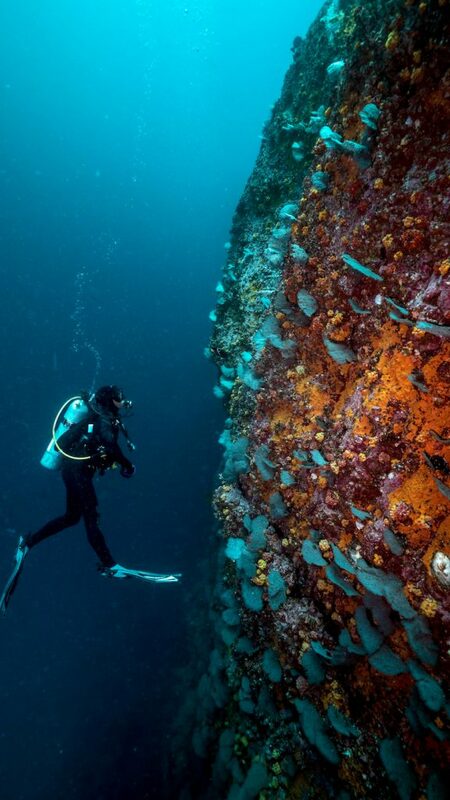 Though there isn’t too many large marine life species to see here, there are several shipwrecks to explore and nearly 150 different species of fish. This city is well known for all its history and beautiful architecture in the Walled City, and just a few meters from the shore are the colorful reefs. Many divers find the Rosario Islands to be their favorite, located 46 km / 29 miles southwest of Cartagena. This archipelago has been a part of a national park since 1977 and is composed of 43 tropical islands, 28 diving sites, and has wonderful coral reefs (both hard and soft), white sand beaches, shipwrecks and a variety of tropical fish. The best part is that throughout the year this area has excellent climate and temperature conditions, and several diving schools make their surface intervals on the paradisiacal beaches of these islands. Colombia is full of surprises, in land and underwater. Best of all, the locals will ensure a warm and entertaining surface interval. Learn more about diving in Colombia. What’s the Difference Between PADI Open Water Diver and Advanced Open Water? 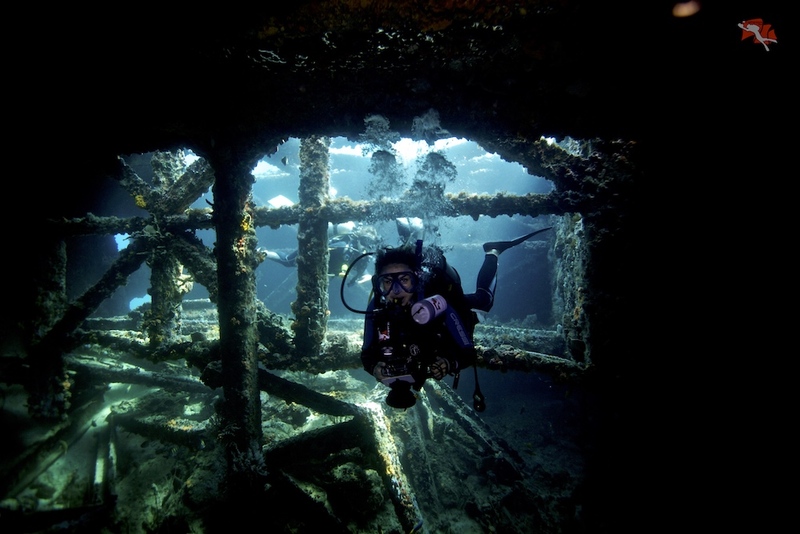 What’s the Difference Between PADI Master Scuba Diver and Divemaster?